I was once again happy to step into the world we meet in The Others. The series continues to evolve and show such a complex world with so many amazing characters I’ve grown quite attached to with Marked in Flesh proving to be another great installment! 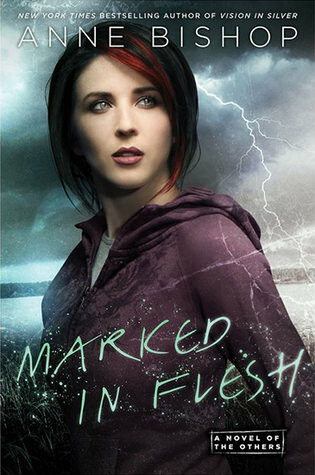 Marked in Flesh shows us just what we’ve been building towards in the last few books. There is a divide between humans and the terra indiguene, the earth natives that rule the land, that has been building slowly throughout the series. Before this novel, we’ve mostly seen the smaller type of the Others, like the shifters that I for one have grown to love. But with the unrest reaching a peak, we finally get a glimpse of the terrifying creatures who’ve remained mostly hidden in the wild country. Namid’s teeth and claws, the Elders, are terrifying yet wondrous creatures that have been quite elusive before now and I for one was excited to finally know more about them. I really loved how the author made their presence known. She managed to introduce them in very real ways yet kept that mystery about them. I loved their reaction to our Meg, the blood prophet, who has such a unique relationship with the Others. I can’t wait to see what that may mean yet for the story. This novel continues to expand on its people and places, the reach having so much to do with Meg and the other blood prophets spread around after their rescue earlier in the series. It connects more and more shifters and humans and despite the divide we really get to see those who choose to work together instead of let the divide tear them apart. And while I do appreciate that, I found with the jumping around from place to place made it a little confusing to keep track of the ever growing list of characters we’ve now been introduced to. My biggest issue with the series on a whole, and what was definitely present in this installment, is that it can be on the slower side. The storytelling has a tendency to get monotonous with simple details and conversations. I don’t need all of these conversations about supplies and such. They easily could have been omitted or condensed to make it flow better, in my opinion. You have to be quite patient with this series but honestly, I find it all worth it. Simon and Meg are slowly killing me with their almost romance. With so much going on there hasn’t been many moments between the two to just be together. It’s been the slowest of all burns, BUT the ending of this novel was the bright light I’ve been waiting for and was utterly perfect! Gah, I cannot wait to get my hands on the last book! I can’t wait to see what happens for not only these two but the rest of the Courtyard and its characters I’ve grown so attached to over the past few books. So many characters you don’t even see all that much (like Erebus) have such a strong presence still! The slow burn is killing me but I cannot wait to read the last book! Yes! I’m glad it’s not such me. Some details are not important and don’t need to be fleshed out to death. lol But the world is great and I won’t let the little things keep me from enjoying the story overall. I keep saying I am going to try these books and then I just … don’t…. I need to fix that!! 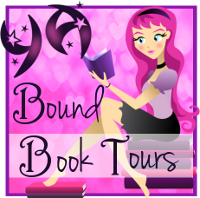 Jen Ryland recently posted…New YA Books Releasing June 12 – Happy Book Birthday! You must! I was saying that for forever too and finally decided to bite the bullet this year and binge read them of sorts, though I have to fit review books in between but thank god I don’t have the year wait instead. I hope you get to it! 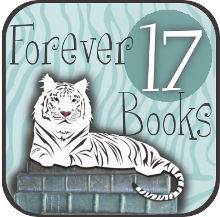 Definitely great for binge reading!